The rHead arrives in the now oh-so-familiar black chassis that is used for all of the ‘r’ series of products. 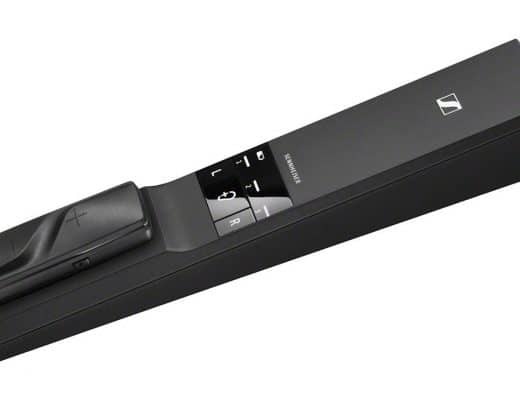 This brick-sized, black aluminium chassis sits upon a rubberised baseplate and features a XLR and a RCA set of inputs on the rear which also sees the connection for the external 12V power supply, alongside the power switch. And that’s it. The rear isn’t exact a made gras…and neither is the front which features a mini (3.5mm) and full-size (6.35mm) headphone socket, a power light and a resistive ladder, silver volume knob with a standby/mute at the beginning of its travel. A Class A design, the rHead will click into Class B during difficult loads but I never reached that point during tests and I’m not sure that you will either. And thats it, really. The simplicity of the rHead is one of its design highlights. 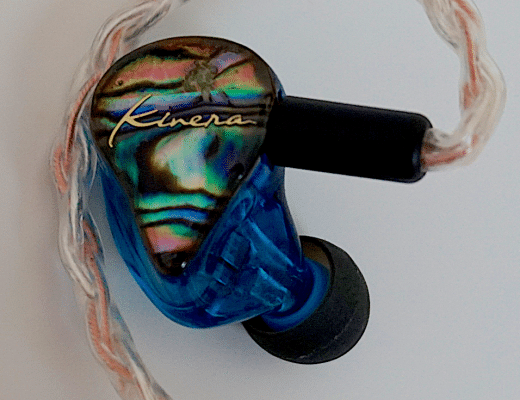 Low footprint and simple to use, you feel that the design budget has been used on sound quality. Well, that’s the impression you have. So, let’s see if that is the case then. Plugging my Sennheiser HD800 headphones into the rHead I began the sound test by playing Japan’s Five Song EP and the track, I Second That Emotion and was impressed by the breadth of the soundstage which seemed, in addition, packed with activity. The Arcam provided a busy musical front for the ears to feast upon. This ‘busy’ aspect of the Arcam was achieved by the pulling back of the lead vocal into the mix, producing a true ‘band’ performance. Some amplifiers push the lead vocal right at you. This effect gives the sound a 3D aspect which does have its own attractions but what the Arcam does is pull that vocal backwards. Hence, David Sylvain stood shoulder to shoulder with the rest of the group. The benefit of this was to enhance the harmonies, making them pleasing and sweet in tone but also to prevent the vocal from masking or smearing its adjacent frequencies. This enabled the more subtle frequencies to be easily heard. Hence, I could hear a touch more of the low key synth effects and the rhythm guitar. This ‘spot the instrument’ game was also enhanced by the focused nature of the Arcam. The accuracy of the presentation produced enhanced the transient performance of the drums which offered impressive impact and pace in terms of rooting the song and pushing it along at a steady speed. Similarly, the electric piano was poppy and sprightly while the cymbals had a shine that improved their importance within the overall mix. Secondary percussive effects such as the wooden block was also heard and gone in a jiffy while the bass guitar provided a welcome precision. The bass guitar could have easily bloomed underneath the general mix becoming indistinct. Not here. The Arcam added new personality and character in the bass guitar which improved the overall layering of the music. Next up was vocal jazz and the Speakers Corner edition of Joe Williams’ Me and the Blues with the orchestra under the direction of Jimmy Jones and Oliver Nelson. Right from the off, the low noise aspect of the Arcam was at the forefront as the distance between the vocalist and the backing orchestra was evident by a distinct space. More to the point, it was also evident that the orchestra was playing in a grand space while Williams was in a slightly more restricted space situation. While Williams featured his own reverb the orchestra bathed in far more, giving an intriguing spacial contrast. The instrumental separation between the orchestral instruments on the track I’m Sticking With You, Baby, provided an easy going, light yet relaxed demeanour. The cymbals, positioned way over to the left and offering fragility and delicacy within the treble band, offered space to the brass section which eased into the song with a sense of swagger and ‘cool’ while the piano detail was easily heard, despite sitting at the base of the mix. Finally the drums themselves provided punch but also a sense of freedom. Drums can often sound claustrophobic but not here, the extra space around the drums strikes gave the song an open expanse that just added to the fun nature of the presentation. 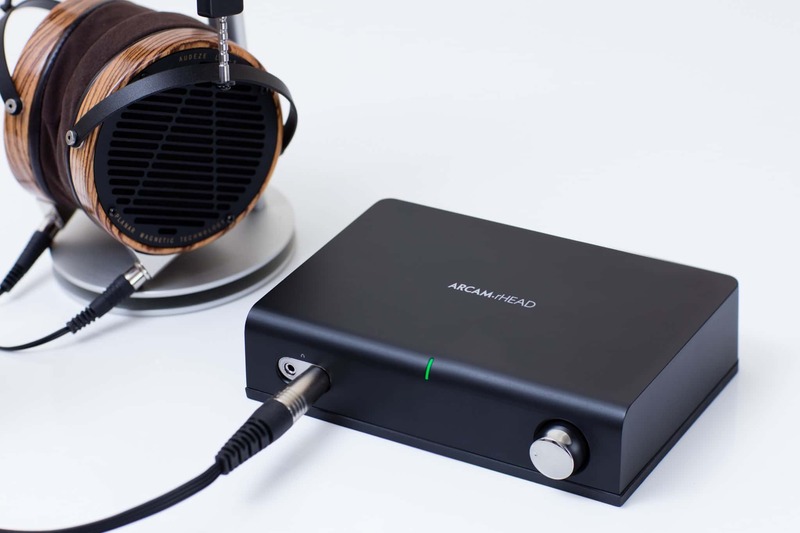 Balanced in tone, the Arcam is not as warm as a valve-based head amp nor does it give you the often brittle nature of the standard solid state amp. 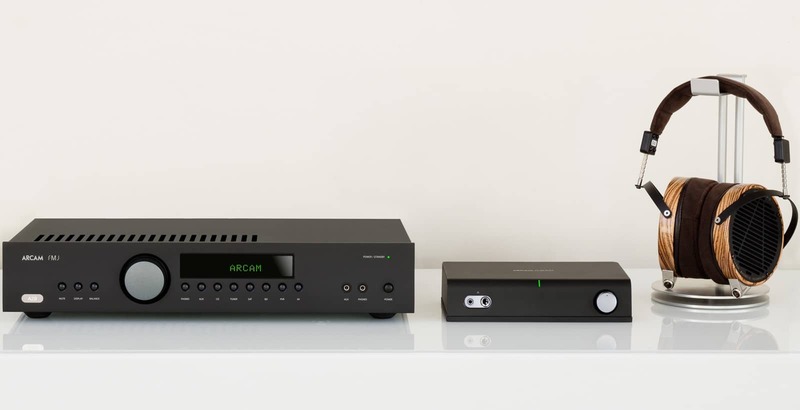 The Arcam treads a more neutral yet lively middle path that is wholesome in terms of its content but never lacks life and vigour. 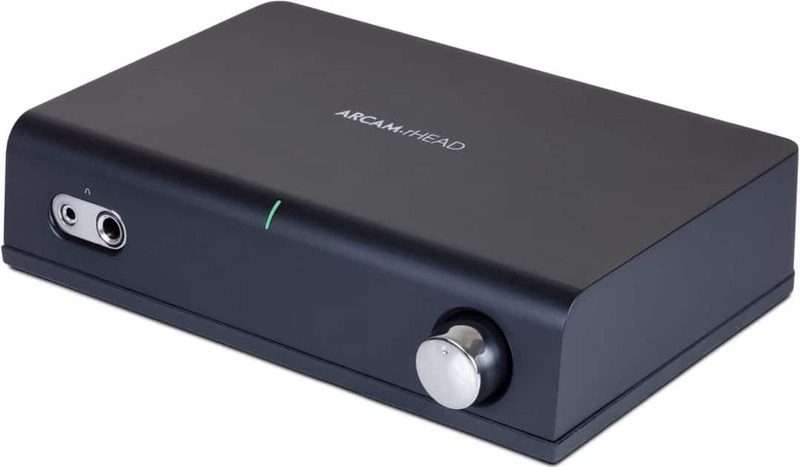 The Arcam rHead, it also has to be said, provides cracking value for money. It challenges designed at twice the price. If you are in the market for a relatively low cost headphone amplifier, this design demands a demo. I didn’t like the design or the r series at first, but now i rather like it. Hi Will – if you have tinnitus, then avoid B&W. On the whole, I find many of their products are a bit lively in the upper mids and treble. You need something warming yet detailed. I would even question the 650s on this basis. Great bass and classic designs (they act as a reference in my set up, for example) but I wonder if you should be heading for a closed design with a warming signature. The rHead is fine, though. If you decide to rethink the headphone decision, give me a budget figure and I’ll do my best to help. It is a tricky one with my ears, I have tinnitus in the first place because they’re very sensitive. Now they’re more so, although they could probably do with testing again. I ended up with an rhead, ifi idsd micro BL and HD650 and they sound great but all together that’s £920- which is way way more than I wanted to spend so I’ve returned the amp and headphones and selling the ifi micro BL before I get attached. It was the amp section in the micro BL that added much of the harshness to my ears in the top end and upper mid range to the HD650, it was much smoother and more musical with the rHead. Lovely little thing the rHead and seems like a bargain that isn’t going to be around for long at £200. But then taking out the micro BL and using my old idsd nano (which beforehand I was smitten with) with the hd650 and rhead- was a proportional step down in SQ- didn’t sound as good, so I left thinking I wanted all three or none at all. Yes I think you’re spot on with your recommendation, that combo at £920 was lovely but, a little warmer would have been nice. Basically I use the setup at the computer all day everyday- audio from the whole computer and listening to music so the extra detail on the hd650 was actually useful even with low res youtube content, I just always felt like I could hear ‘everything’. The can of worms is open and they’re all over the floor. Hi Paul- I did my best not to ask for fear of my brain melting under more options and permutations, but I resisted about an hour. You mentioned some recommendations? That’s it I promise, no more I’ll leave you in peace. Sorry, been a bit busy and the ol’brain is frazzled. Remind me Will – where are we at with that? What exactly do you need? I currently have a Graham Slee Novo. 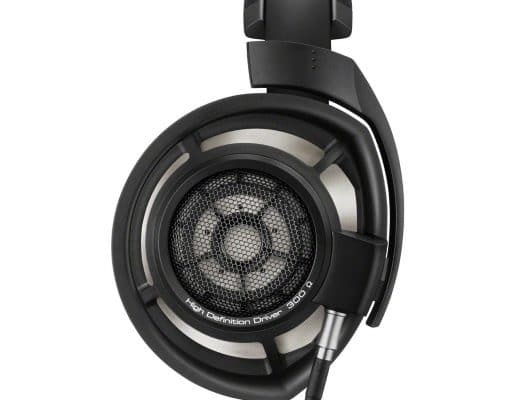 I use Sennheiser 650s and have got some Beyerdynamic DT 880s. 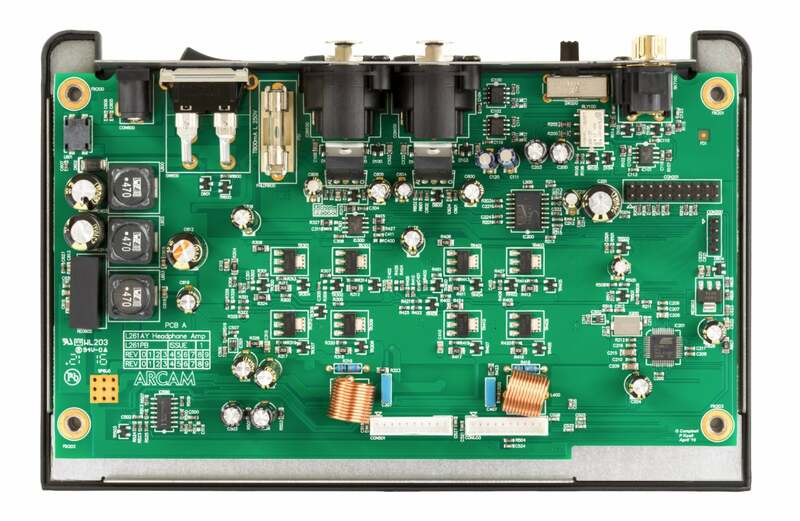 I am looking to upgrade my headphone amp with a budget of around £500. I listen to most types of music – but not classical on headphones. Hi Paul – Thank you for the advice. I already have some after market leads that I had made by an enthusiast. I have not looked at the Lyr before. I have looked at the Valhalla. I must admit there is a real appeal of going with valves. My guitar amps are valves and you really can’t beat the sound – so I will give the Lyr a closer look. I have seen lots of good things about Schiit – but mainly from the states. So it is good to have your opinion too. Thanks for a great review! I am little bit puzzled by the final grade you gave. Why 8/10 if the the amp is that good, if it challenges designs twice its price and if there is nothing bad at the price? This amp costs 249 Euro now so I guess it is a steal. I cannot think of any other amp at that price point sounding that good. Oh, I see 🙂 Thanks!